Two Fiction Debuts: Dieokoye Oyeyinka's "Stillborn" and Chigozie Obioma's "The Fisherman"
October being the month that I celebrate Nigerian literature, here are two new releases from two young Nigerian authors. One is out now and the other will be published in early 2015. Enjoy!!!! The first comes from Diekoye Oyeyinka. His debut novel Stillborn is published by East African Educational Publishers. Narrated from the point of view of Seun, an orphan from the Niger Delta, Stillborn is not only a tale of turmoil and tragedy; desperation and despair; but also one of optimism and opportunity. It revolves around the lives of five characters: Seun, his mother Ranti, herself a girl of limited privilege; Seun's lover, Aisha, a refugee from the religious clashes in the North; and Emeka from the South-east, a war deserter who becomes an unlikely hero. Their lives intersect in the residence of Dolapo, a civil rights lawyer from the South-west. And the five lives come together to paint a vivid picture of Nigeria since its infancy fifty years ago, meandering into the complexity of the lives and communities of present-day in Nigeria. In the end, Stillborn traverses the various political epochs that have shaped Nigeria, and by extension, Africa in general, right from the pre-independence period and through the fears, frustrations, hopes and dreams that have characterised this fragile continent. The second, The Fishermen, comes from debut novelist Chigozie Obioma. 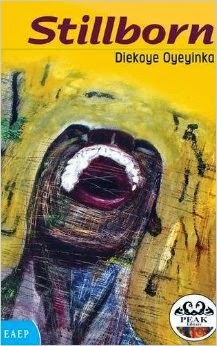 Published by ONE (an imprint of Pushkin Press), The Fishermen tells the story of what happens to nine-year-old Benjamin and his brothers after their father accepts a job transfer to a faraway city and the four boys go fishing in the river that snakes through their small town in western Nigeria. Near the river, a place the town's people are forbidden to go, the four close-knit brothers encounter a local vision-seeing madman, Abulu, whose prophecy of violence threatens the core of their family. When Benjamin's brothers assume one brother will kill the other, an extraordinary tension is created, and a chain of events is set in motion that threatens to change the course of Benjamin's life and even that of the entire community.